Twenty-three Scouts and seven adult members of Troop 39 have earned the 2011 President’s Volunteer Service Award for services given to the community throughout the year. Twenty six different projects were held through 2011 ranging from building a bridge on a new stretch of the Mountains to Sea Trail to the annual Touch a Truck event held at University Mall which resulted in raising over $5000 for the UNC Children’s Hospital. 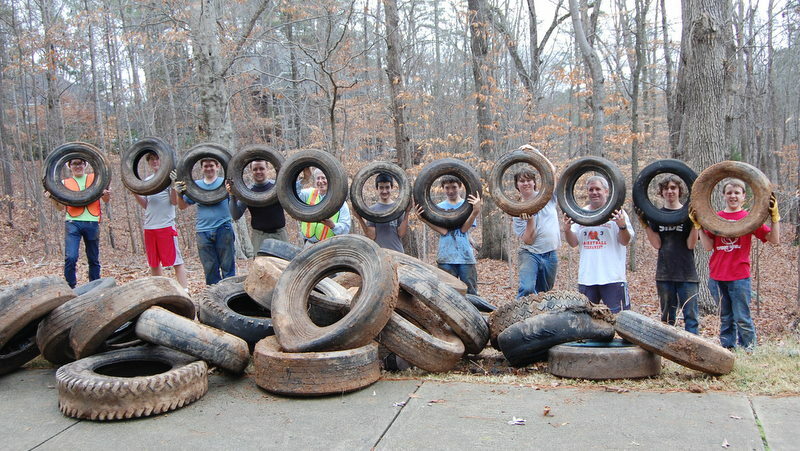 The community benefited from more than 1500 hours of volunteer time given by over 50 members of the troop in 2011. Troop 39 is one of the oldest continually chartered troops in the nation and earns the PVSA award for the first time in its history in this, its Centennial year. Congratulations to all of the members of the troop for the cheerful service they have given to the community throughout 2011.